They will cost £620 and up. 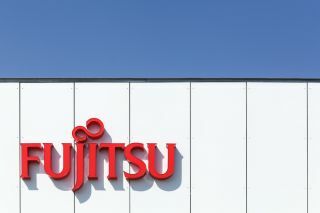 Fujitsu has announced six new enterprise devices on six different product series, offering faster machines and more security. There's the new 10.1'' ARROWS Tab Q507/P-SP tablet with the Biometric Authentication Slide Passport, a new Notebook LIFEBOOK, two ESPRIMO models, a 17.3'' CELSIUS H970 mobile workstation, and the FUTRO MU937 mobile notebook device (which Fujitsu claims is the world's lightest). What's particularly interesting about the ARROWS device is that, for the first time, it comes with Fujitsu's Biometric Authentication Slide Passport functionality. This biometric authentication service allows users to log in using the palm of their hand. “With the simple action of sliding your hand along the guides displayed on the tablet's touchscreen, the small slide-style palm vein sensor installed in the tablet's frame will read and authenticate the pattern of veins in your hand,” the company said in its press release. The new model in the LIFEBOOK series, as well as two models in the ESPRIMO series, are coming with the latest seventh generation Intel Core processor family. The CELSIUS H970 mobile workstation features a large 17.3" full HD screen, while the FUTRO MU937 is considered ‘astonishingly light’, by Fujitsu. “Despite its extremely light body, it has cleared several strict tests, including pressure durability testing and drop testing, offering both lightness and toughness,” Fujitsu explained. The new machines are expected to hit the stores mid-April in Japan, being priced £620 and up. More details about the new devices can be found on this link.